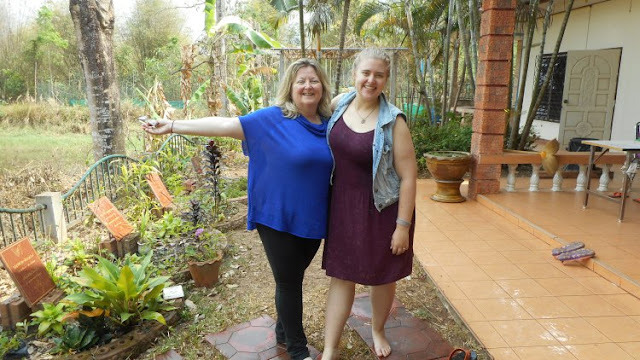 I am a worrier who hates to fly, so pretty much the only thing that would motivate me to travel halfway around the world, is seeing one of my daughters (I haven’t traveled outside the USA for 28 years.) 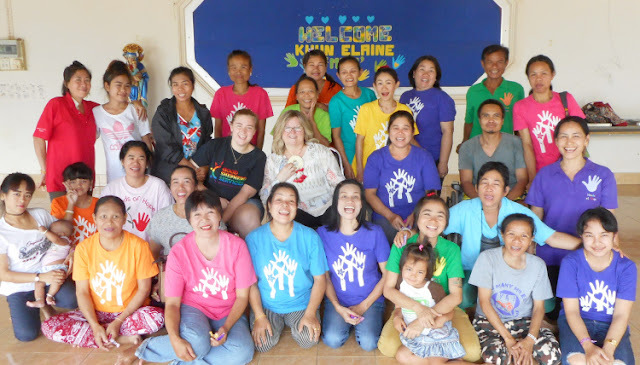 Seven months ago my daughter Lauren began her second year of post grad service with Good Shepherd Volunteers in Nong Khai, Thailand with Hands of Hope and the Garden of Friendship program (serving a wonderful community of people with HIV). We have stayed connected through texting and the occasional phone call but I knew I had to see and touch her around the mid-way point. I presented several tourist-friendly vacation options for us within Thailand but she insisted I come to the garden community to experience her life here and meet the people and staff that she has come to care so much for. I knew my daughter well enough to know that trying to talk her out of this was futile. So off I went on a 28 hour journey to see my daughter. We met first in the capital of Laos (very close to Nong Khai) for a few days. My time in Nong Khai started with a memorial service for a beloved patient that had just passed. The next very fulfilling few days included assorted activities with the health care center patients and the producers at Hands of Hope, an informative tour of the truly amazing sustainable garden community and a delightful dinner with the Good Shepherd Sisters. I rode a bike down the same dirt road my daughter bikes down to get to her work site and went to the Friday night local market she visits each week. But I will take back with me two distinct memories; seeing for myself how the patients, staff and producers smiled and hugged my daughter after she had been gone with me in Laos for a few days, and the strong and inspiring sense of community that has formed with this program. People with no one to care about or be cared for have found a sense of family here. This post first appeared on Good Shepherd Volunteer’s blog “Just Love.” Reposted here with permission. For more information about serving with Good Shepherd Volunteers, please click here.